Research by RiskWise has shown the weakness in these markets have a strong correlation with low unemployment and therefore extremely small population growth. This was clearly demonstrated in Outback Queensland where the unemployment rate was more than double that of the average unemployment rate in Australia for September of 5 per cent and population growth during a 10-year period was a mere 1.7 per cent compared to 18.3 per cent. 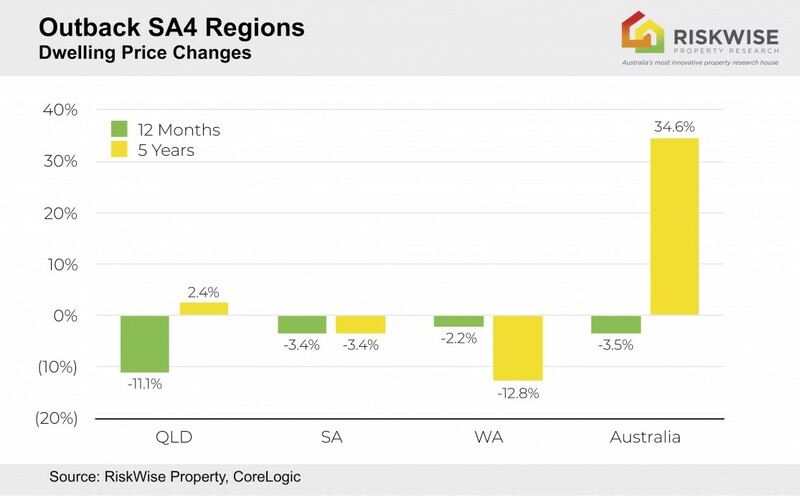 The average dwelling price also dropped -11.1 per cent, compared to the whole of Australia at -3.5 per cent. 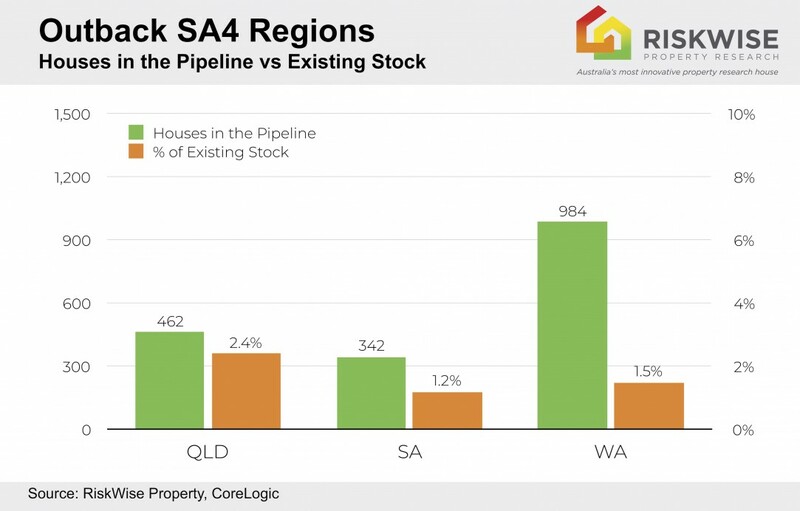 Outback markets are weak, and this is across a number of states, particularly, but not only, the mining states. People seem to think that since there have been strong price reductions in many of these areas, that the price has reached the bottom and that what goes down must go up – and quickly – but that is definitely not the case. 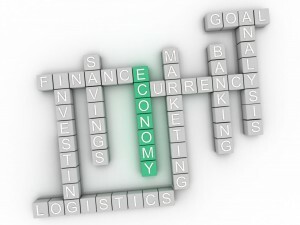 The most important drivers for price growth are strong employment and population growth and for these regions these simply are not present, so even if there is limited new supply coming on to the market, and when these markets truly reach the bottom, do not expect significant growth as this is not enough to drive prices up. Dwellings under construction are, unsurprisingly, at a very low level, with a very small number of properties in the pipeline. 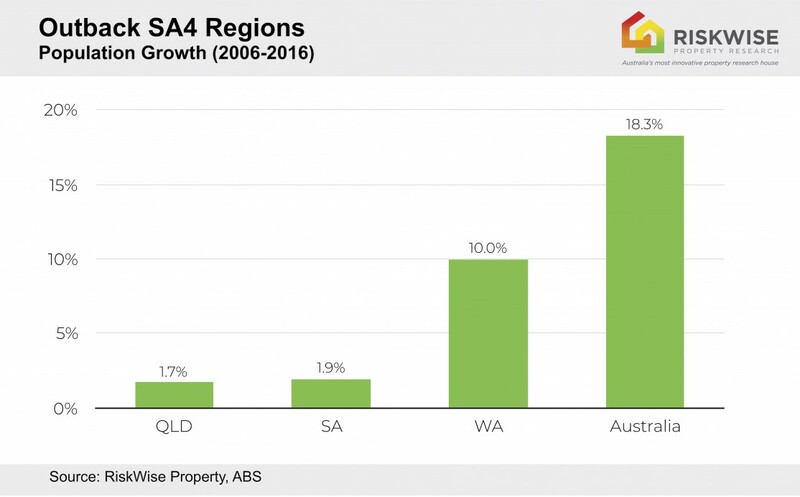 Strong construction work has been a key driver for economic activity and job creation, particularly in NSW and Victoria, however, this growth driver is absence from these areas. 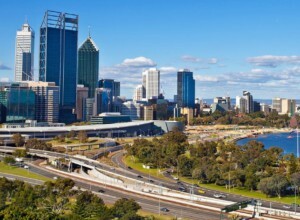 The Western Australian economic growth had been either negative or at a very low rate since the end of the mining boom and with it a steep drop in the population growth rate as people sought employment elsewhere. And it is much the same for the Outback regions of other states. Where there is no work, the population either recedes or the growth is very poor. Therefore, there is less demand for housing and prices decrease. The solution is to encourage government investment and development of larger regional areas and ensure they are well serviced by infrastructure and jobs to attract people away from the traditional employment hubs. People go where the jobs are and we’ve seen in the outback of South Australia, Central Queensland and Western Australia that their population growth is pretty much non-existent simply because the job market in these areas is weak. 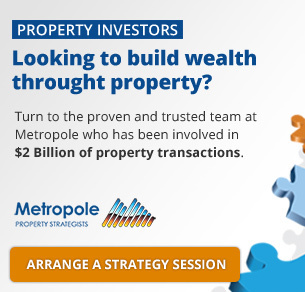 It follows that if they grow the economy in those areas, and back it up with infrastructure, it will attract people to move there and, as a flow-on effect, will reduce the population concentration in Sydney and Melbourne, improving housing affordability in those capital cities. 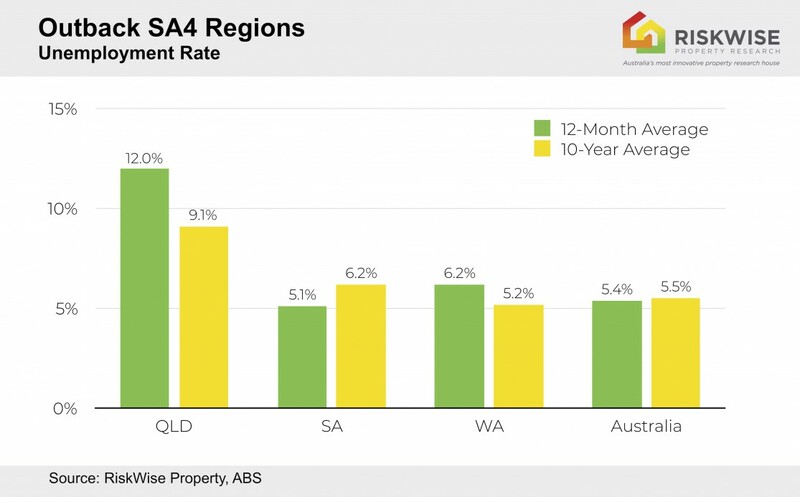 Compared to the Australian five-year growth of 34.6 per cent, these areas have experienced incredibly weak markets as can be seen in the graph below. The Federal Government’s Building Up & Moving Out report detailed a ‘national plan of settlement’ focusing on population, employment, the economy of cities and regions, socially and environmentally sustainable development and connectivity between the cities and the regions with an emphasis on housing affordability. 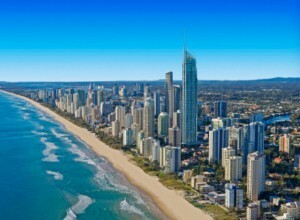 It recommends the Australian Government develop a framework for the development of cities and regions outside the major metropolitan centres, undertake the development of transport networks which allow for fast transit between cities and regions, ensure urban and regional infrastructure is developed and the appointment of a Minister for Cities and National Settlement. 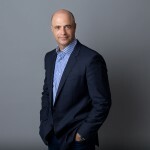 Alternatively, if no measures are taken, with the strong urbanisation trend that we see not only in Australia, but globally, the gap between these places to the major capital cities, particularly Sydney and Melbourne, from economic, demographic and housing perspective will continue to widen. 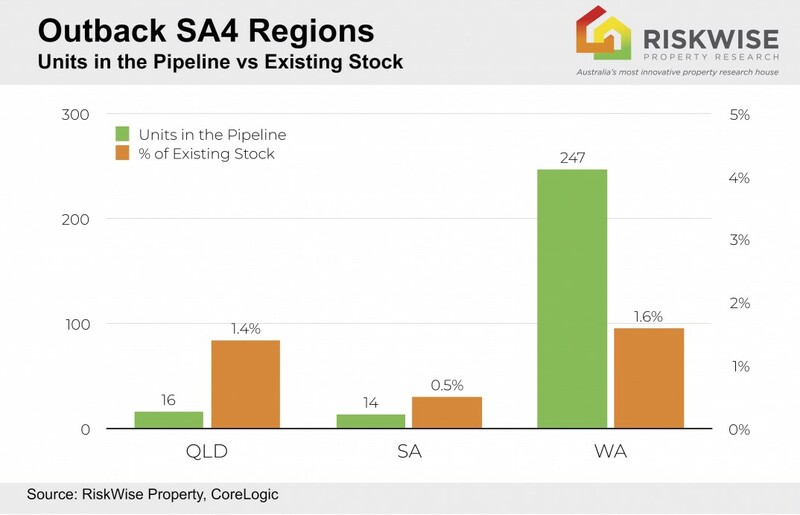 Outback areas, for example Central Queensland, have been attracting a new wave of attention because many investors believe this property market has hit rock bottom and that the only way is up. However, they are projected to deliver low economic growth, a soft job market and low population growth which means both houses and units carry high risk. With a very volatile job market, leading to a high level of uncertainty, it’s no wonder the markets in these regions are weakened. 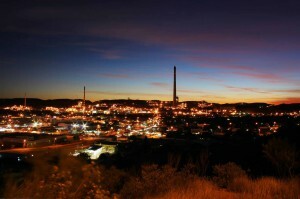 Western Australia, Central and North Queensland, South Australia and the Northern Territory would all benefit from population growth and businesses should be encouraged to set up shop there through taxation benefits, major government projects and a clear strategy to increase the number of jobs in those areas.